Crowbar Backcountry Skimo Race - One Thousand and One Kick Turns! What is Skimo? 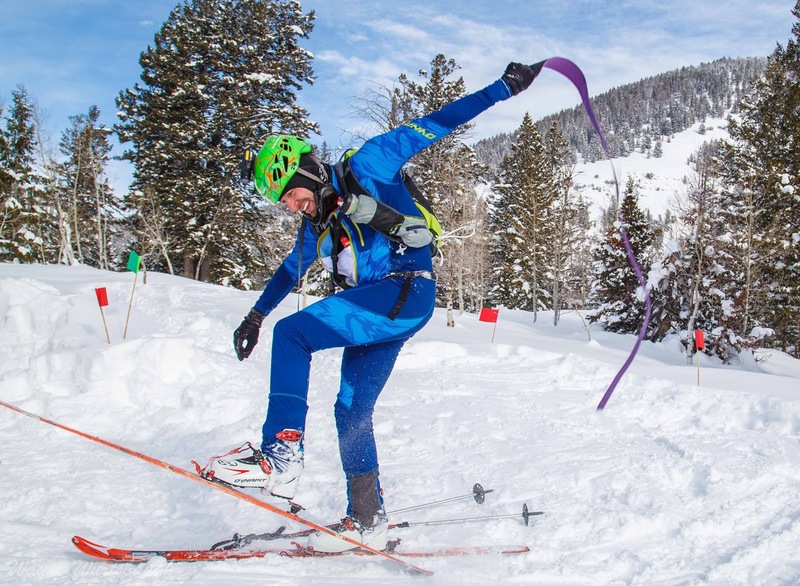 It’s actually the frozen, slippery way to say Randonee Racing which is actually French for “can’t telemark!” When ski touring in the backcountry crosses over into competitive racing formats for skinning up, skiing down and booting all around mountains high; that is Skimo. 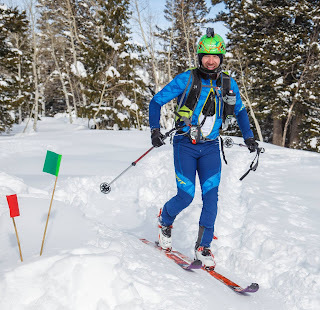 For others, Skimo, short for ski mountaineering, is scrambling high mountain peaks with ultralight technical equipment, packing the bare minimum, moving with efficiency and speed on snow and ice covered mountains delivering a surgical strike on some sacred, seldom skied, coveted line.... That is also Skimo. 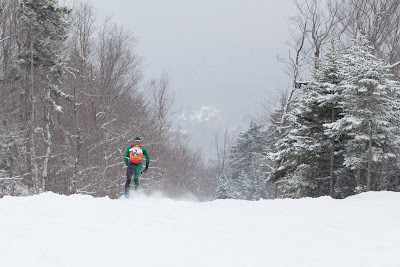 I prefer the Skimo where I wear a form fitting lycra skin-suit just to look fancy going fast up and down groomers in New England. 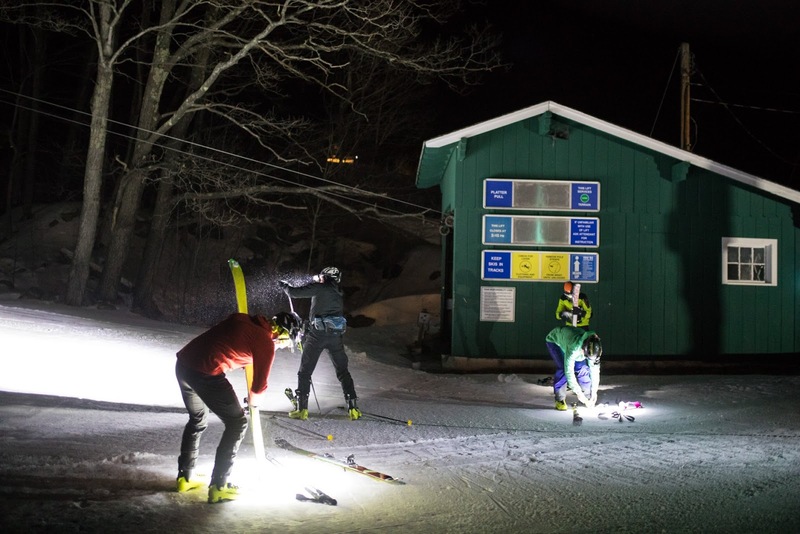 Skimo found me through my multisport friend Josh Flanagan who suggested to give it a try after a successful comeback to the Tuckerman Inferno in 2015 . 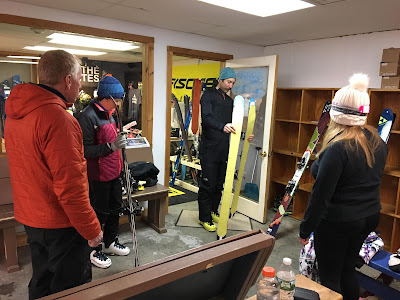 A comfortably advanced alpine skier, I considered backcountry skiing but never the motivation to pursue another activity that required plentiful amounts new gear. 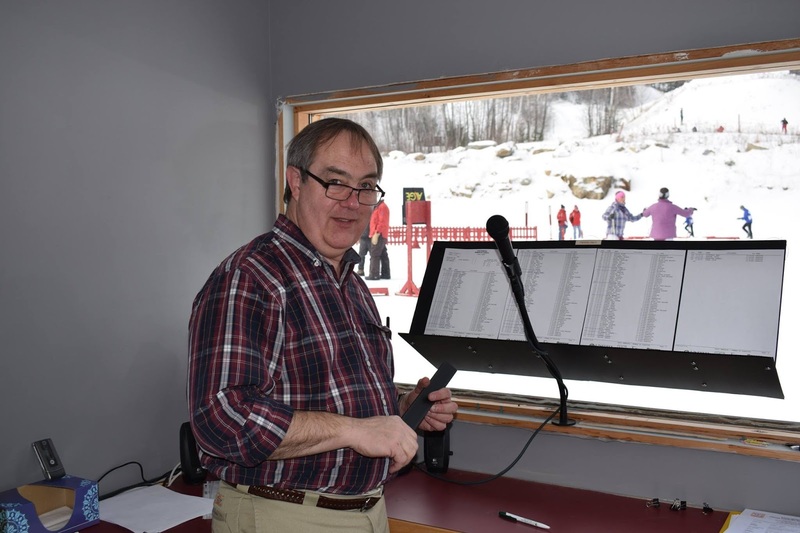 With blessings and support of my awesome wife, I began earning turns skiing uphill at local resorts with convenient uphill policies. 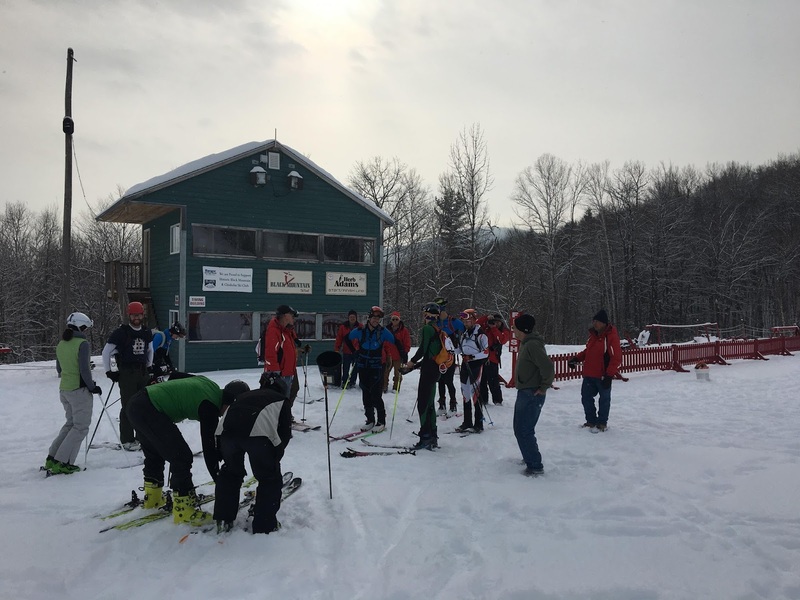 Gained some experience both skinning uphill and most importantly, learning to ‘quickly’ transition between skin-to-ski and ski-to-skin. 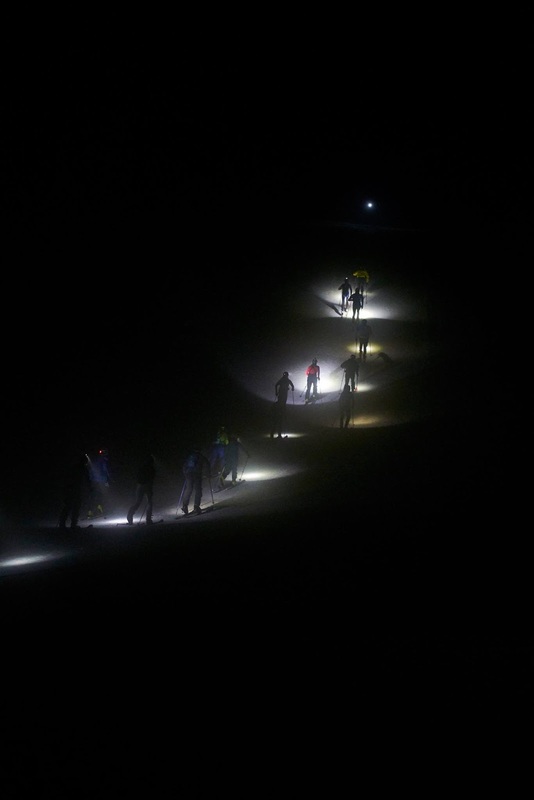 Started competing in the NE Rando Race Series directed by Jonathan Shefftz and joined his crew for summer turns off the summit of Mt Adams, WA and obligatory dawn patrols on the Mt Hood Palmer Snowfield. Skimo was starting to take me places I previously could have only dreamed of visiting. Another one of those least expected places to visit was located in the Northern Wasatch Mountains of Utah. 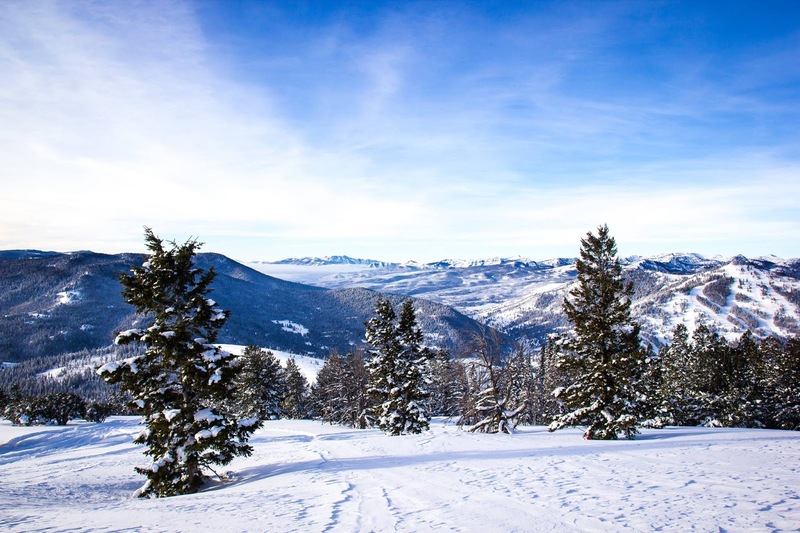 A 45 minute drive to the Northeast of Logan passing through scenic Logan Canyon was a place just far enough away from Salt Lake City that consistently remains an untouched, wintery paradise. Flying into SLT at midnight on Jan 28th and driving 2 hours North to Logan, 3 hours of sleep then off to race registration for the 2017 Crowbar Backcountry Skimo Race. So much for acclimating and resting up. 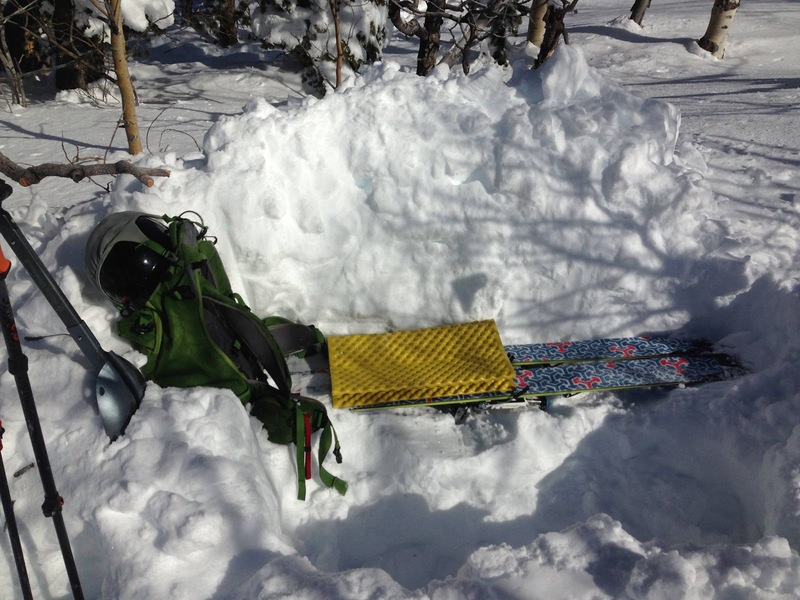 The price to pay for a 4-day whirlwind ski tour of the wondrous Wasatch. 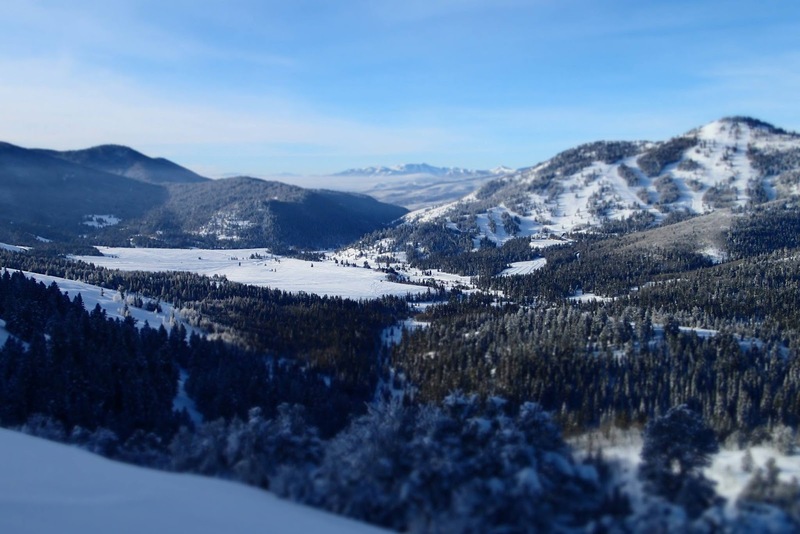 Arriving in Sink Hollow, a wide open space nestled between Beaver Mountain Resort and the 9200’ lone summit of Beavers Envy in the Cahche National Forest. 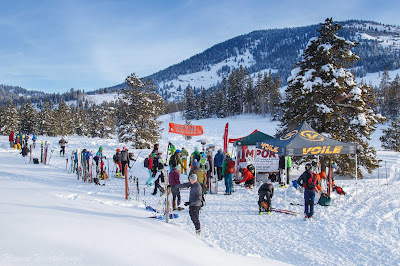 The lone summit is a backcountry playground and the prime location for a morning of mid-winter Skimo racing. 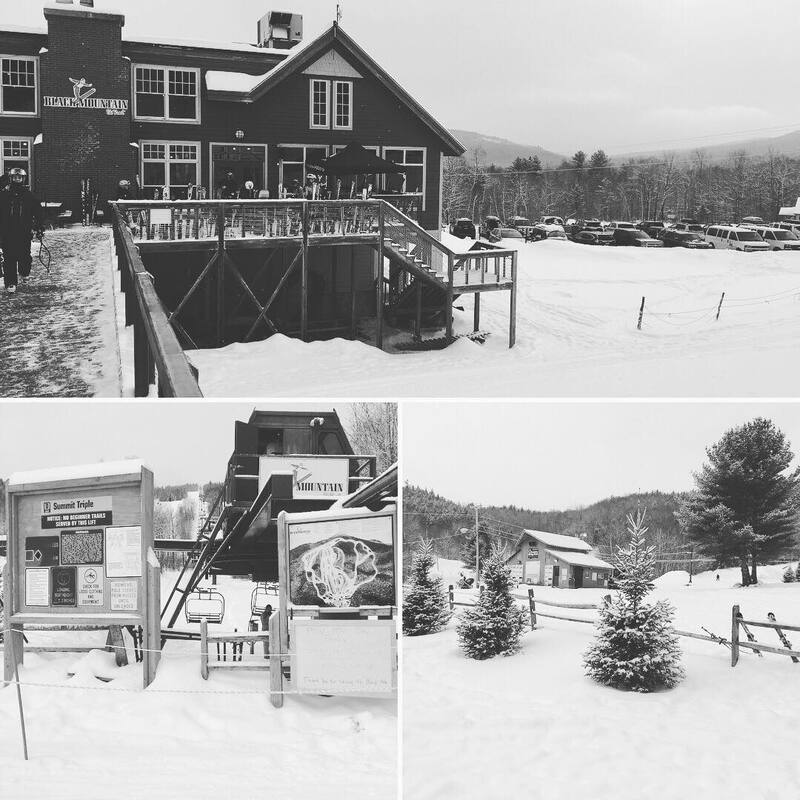 The terrain is accessed via the trailhead at Sink Hollow on the way to the resort. 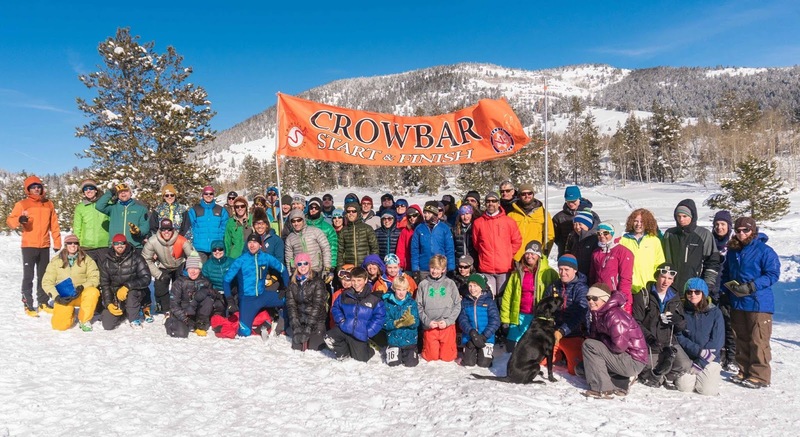 Crowbar is organized by the enthusiastic, high energy team from Nordic United, a Logan nonprofit that delivers on its promise to offer outstanding array or winter sports and recreation in the surrounding Cache National Forest. 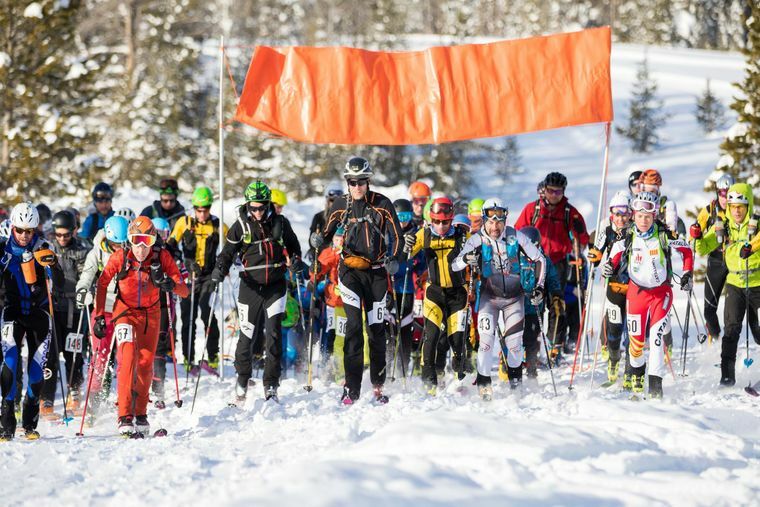 From days leading up to the race, it takes an army of volunteers to pull off an event that starts and finishes exclusively in the backcountry, never crossing into resort grounds. An army of volunteers out several days before the event setting skin-tracks, bootpacks and flagging the downhill runs. Temperatures were a stiff -3F and just trying to stay with no luxury, sheltered within the typical front side confines of a ski lodge; thus affected my time management. 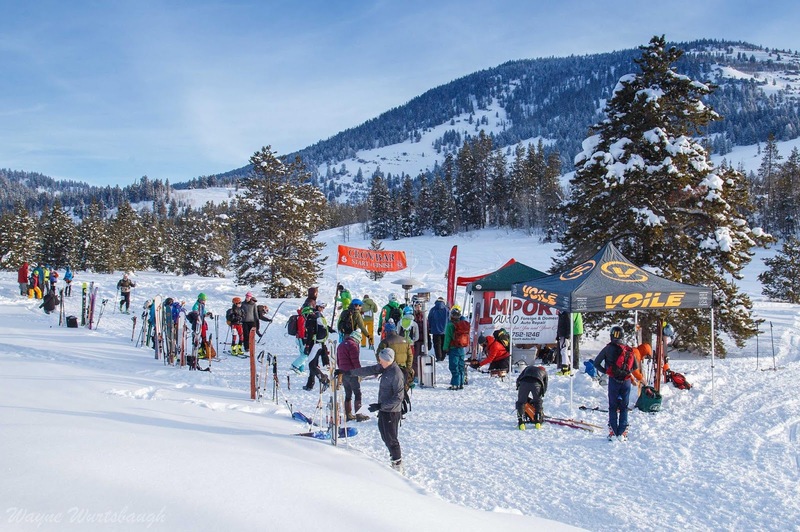 Not to mention the distraction that comes from being surrounded in the hustle and bustle of an excited group of backcountry enthusiasts and competitors. 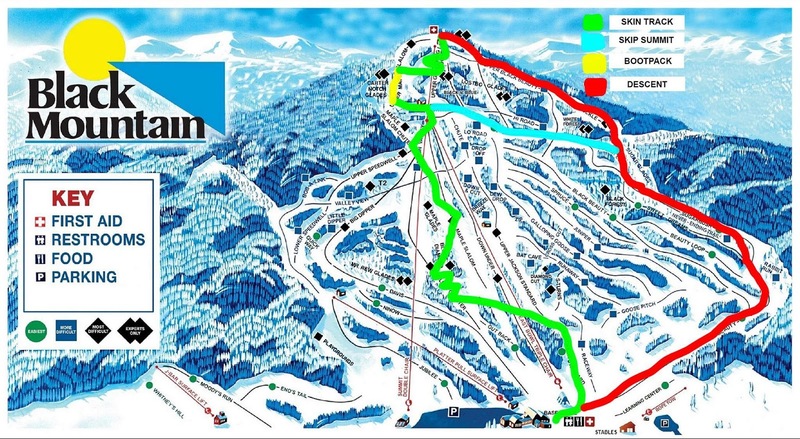 This leads me to my worst start in my personal short history of Skimo. 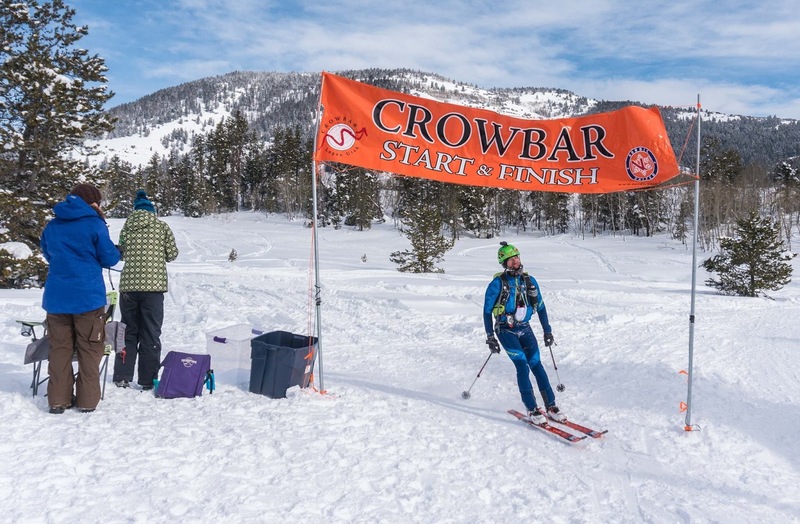 Participants choose between a 10 mile long full course with over 6000' elevation or a short course roughly half that distance and elevation. 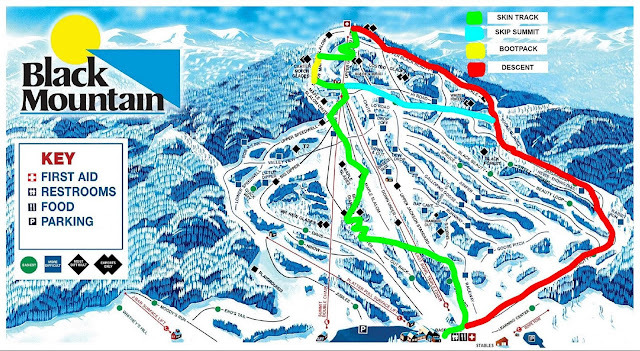 The full course was broken into race and heavy metal division depending on the weight of the ski/binding combination. Either way, any choice was going to be a big challenge and excellent time had by all. Overheard rumblings that the race would start later than intended; I got too comfortable. 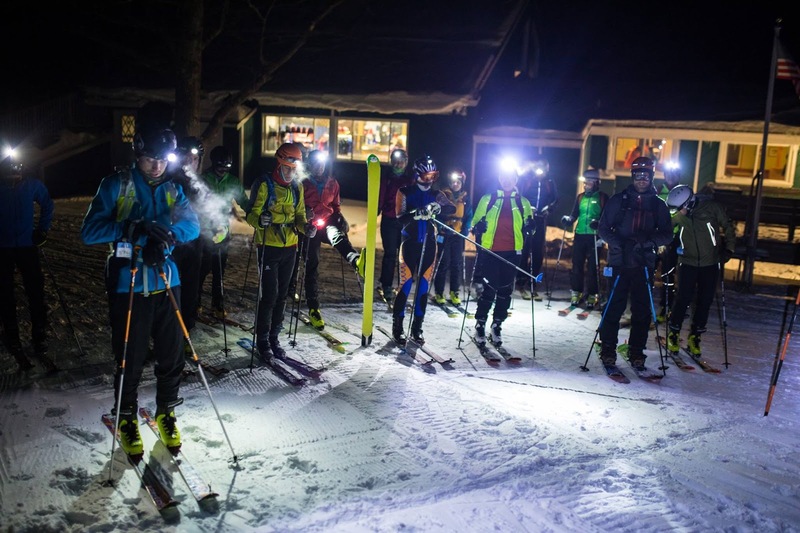 An announcement was called out that all backcountry checkpoints would soon be in position and the race would promptly begin in 15 minutes. I was not dressed or remotely ready and scrambled to the starting line with less than 30 seconds to spare. 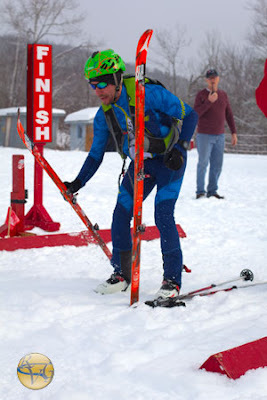 I had not completely clipped into the binding pins on the right toe piece and lost my ski off the start. Passed by at least 40 people.... Embarrassing! The always, heart pounding lead-off where everything fell apart underneath me. Racers leading the charge, slipping into dual skin track lanes. 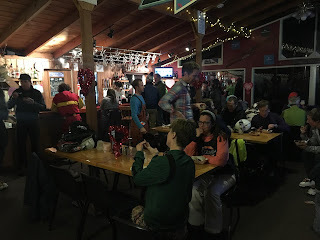 The event started with a long 2.3 mile ~16% grade approach, some 2000’ in elevation gain above the hollow, followed by several short, steep 700ft (26%) and 1300ft (31%) climbs and then one big push, summiting Beavers Envy featuring the more technical skin-boot-skin-ski transition. 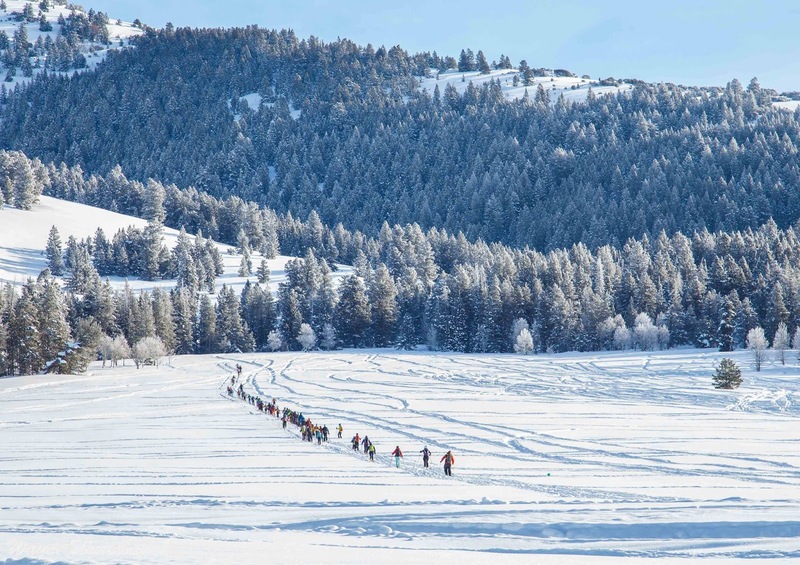 Had to produce a really hard initial effort through the calf deep powder along the edges of the skinning lanes, making moves between a dual tracks and finally locking into a steady 15th position, far off the lead pack. I was able to maintain a solid 2.6mph average on this opening climb. 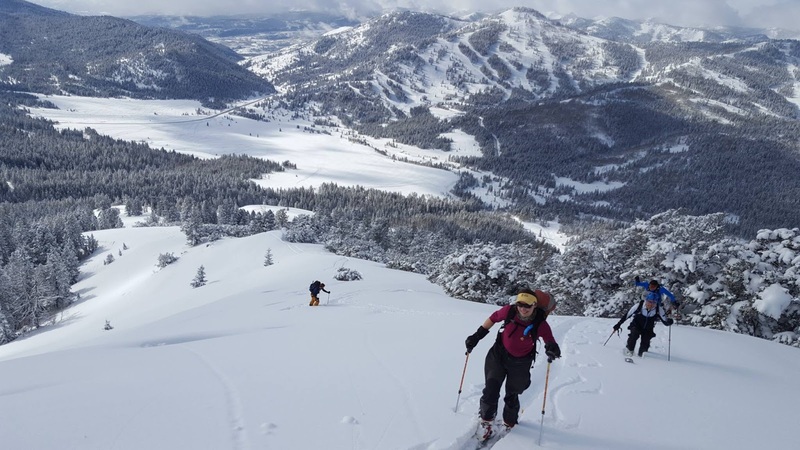 Following each climb were bomber glade runs, weaving in-and-out of trees, floating through pristine powder meadows and occasionally breaking through the hard crust of the previous days ski tracks. The first descent, flanking ridge-lines to the foot of the mountain was outstanding. The runs progressively got steeper and more challenging with already burning quads negotiating power stashes and dodging a continuous barrage of trees. Throw out any inclination for resembling anything remotely close to a performance turn when your skiing 65mm under foot on ultra light rando race skis weighing much less than 1000g each. 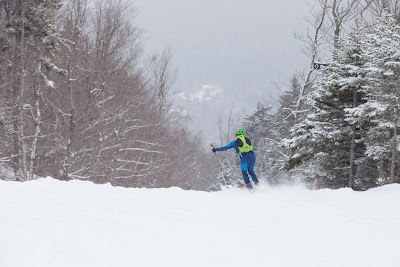 I was lacking anything in the form of control on the skinniest skis imaginable! 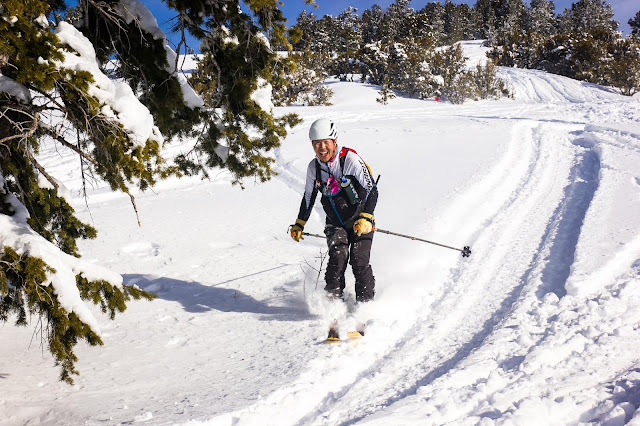 My personal hero, Ryan Choi showing us how to lay fresh lines in Skimo. The rest of the race was as one would expect in Skimo. I exchanged places with a few people, back and forth little battles engaging each other in good camaraderie. I was pacing myself strong and with confidence but that hard push off the start caught up with me and the altitude finished the job. Cameron Peterson, one of the original organizers of the event, made a move on me in a later section of steep skintrack where hundreds of kick turns were getting in my way. In fact, what’s a kick turn again? We don’t have those back East! 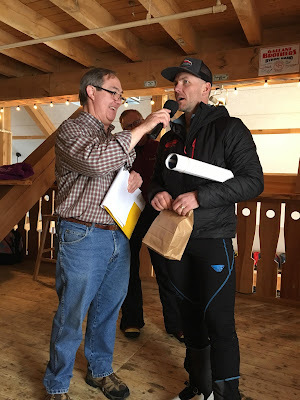 Next, I lost my right Pomoca race skin due to the frigid cold and second place finishing Emily Brackelsberg whom was hot on my tail pulled out in front of me. A fairly quick exchange to backup skins tucked down, deep into the kangaroo pouch of my race suit and I was off. The gap further widened as I finally submitted to the altitude to ensure I would cross that finish line. I was warned that it would happen, but did not know what to expect. I was going strong, then a sudden shortness of breath and I could not turnover the pace, working harder, going slower. Cameron ripping skins fast in transition. 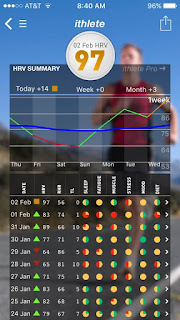 High Altitude: Coming directly from sea level and at a base elevation of 7000ft I was advised not be too shocked about any decrease in aerobic performance or disappointed in the result. 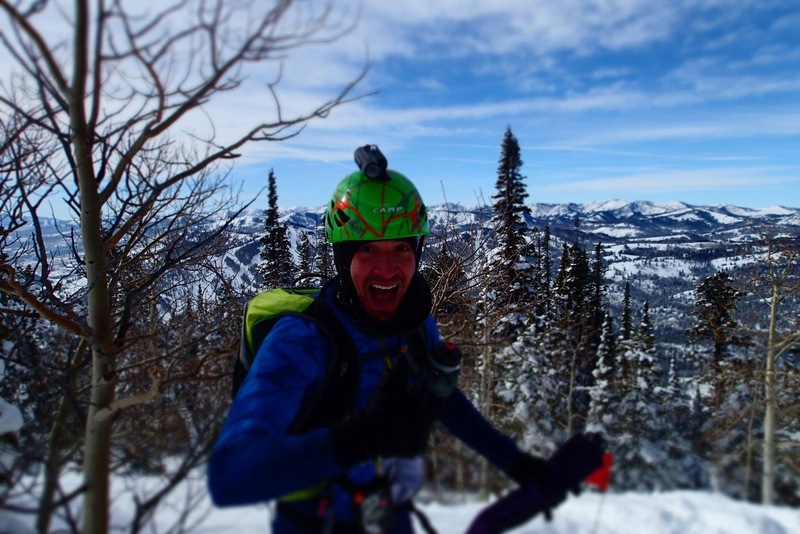 What would a loss in performance feel like having never competed in high altitude? 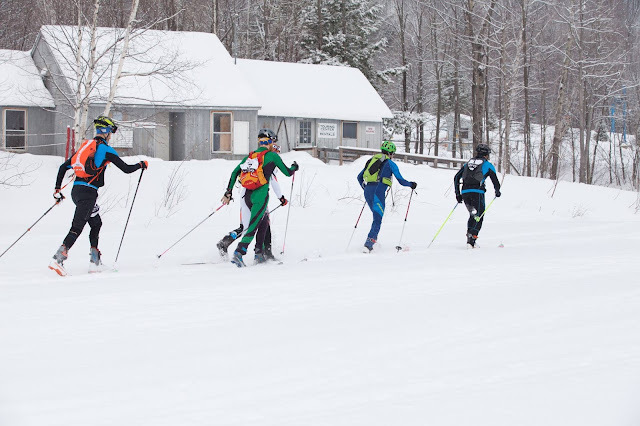 Learning to ‘quickly’ transition between skin-to-ski and ski-to-skin is very important in Rando Racing. I noticeably slowed down to a crawl on the final climb which proved difficult to maintain respiratory efficiency. Short, rapid breaths ensued which required backing off the pace to comfortably manage a deep, diaphragmatic breathing rate. Pace slowed, while average heart rate still stuck at threshold but fortunate to be in complete control with no major spiking. Opportunity for short recoveries in transition were still in command as normally expected. The loss in performance came on the final 1.4 mile, 1900ft (24%) climb I was only able to maintain a moving pace of 1.6mph at 171HR. I just kept in control of my now slowly, progressing pace and was having the time of my life out there. 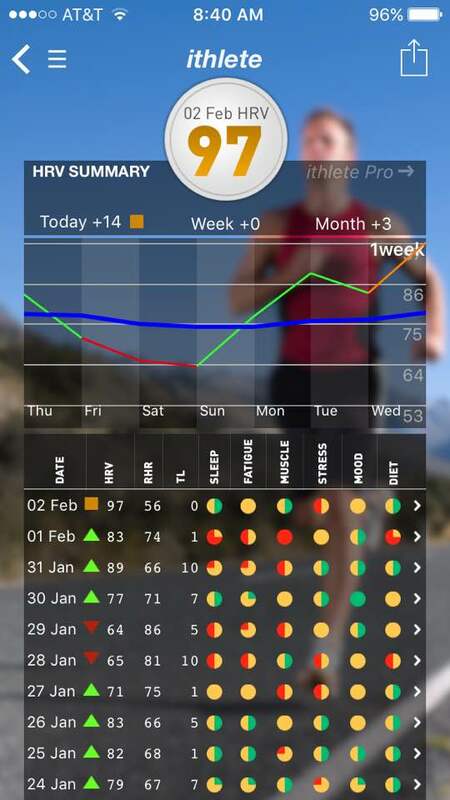 There is much to be said about living high, training low unless you were born low like me..... Acclimation is important and based on my Hear Rate Variability results; it suggests that 48 hours minimum would be required for both resting heart rate and overall heart, respiratory functions to normalize. Powder Skiing: The views on the descents were delightful, I had few opportunities to briefly consume my surroundings; an awe inspiring landscape surrounding the hollow below, with nearby ridge lines and far away mountain summits covered in a white, wintery wonderland. 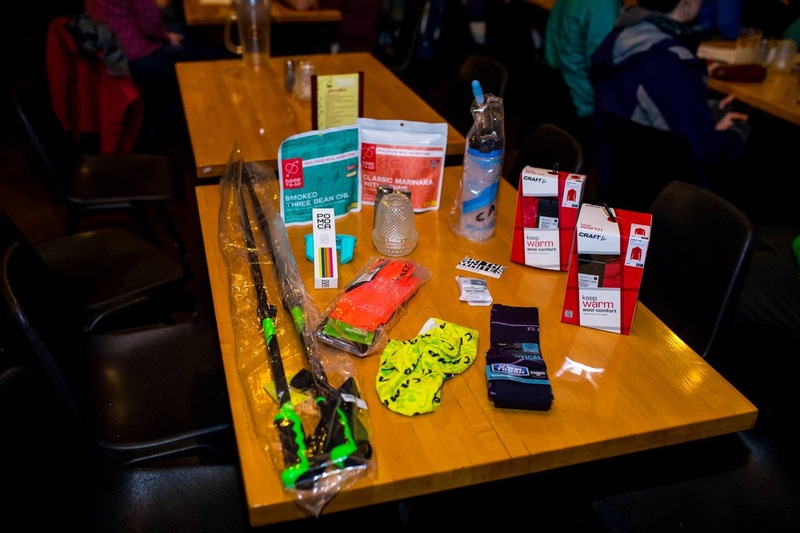 Skimo certainly requires plentiful amounts of new gear! 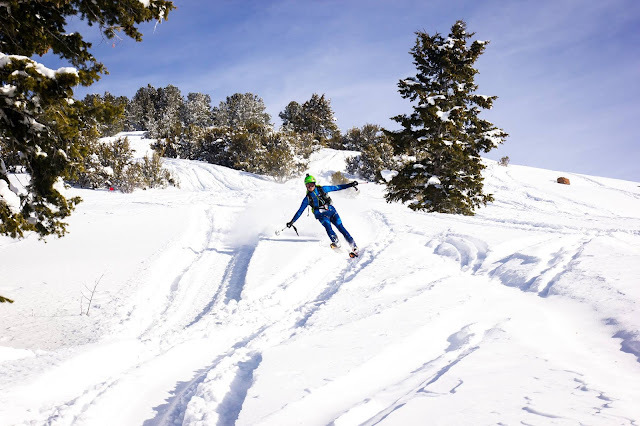 Skimo requires, without question, some of the lightest, most technical combination of skis, bindings and boots in the market today. 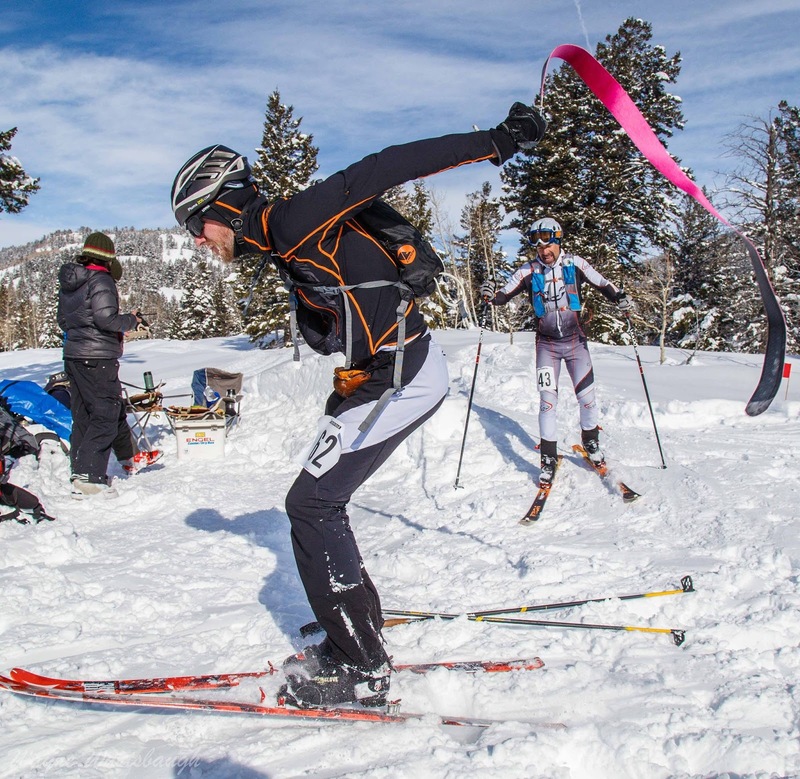 When performance and efficiency in the uphill approach is utmost important, durability comes into question and being a weight weenie is an understatement. 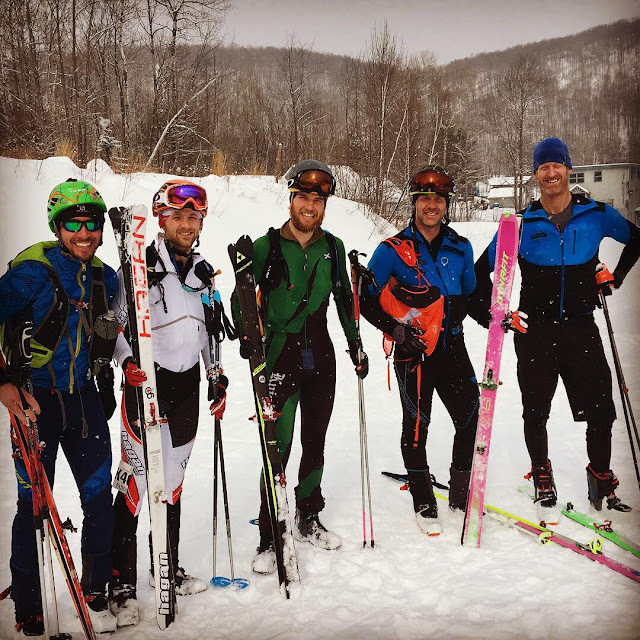 It was quite the challenge skiing through all that powder on these skinny rando race skis. My current kit features Atomic Ultimate 65 WC with Plum 135 tech bindings and Dynafit DY.N.A. EVO race mountaineering boots. 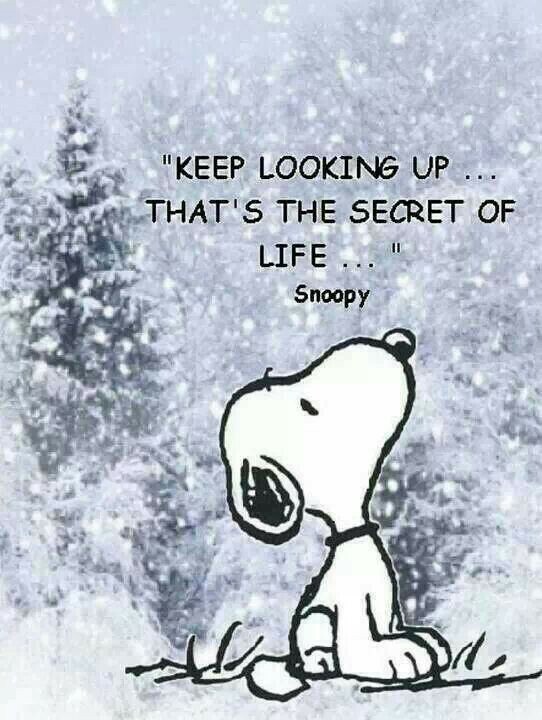 I toppled and tumbled countless times. More fluffy, puffy wipe-outs in this event than I have in the last 50 days skiing combined! 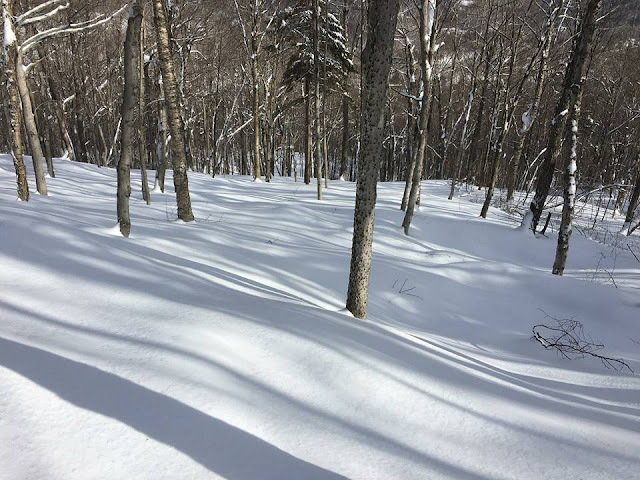 Dropping lines between trees with burning quads with little control made each run feel like that final run of a long day front side, lift serviced when you decide to drop the gladed bumps one last time. 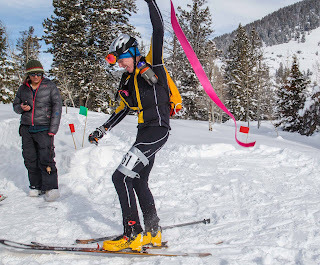 Despite a sense of helplessness, lacking control, I picked up the pieces and pushed on, through the respiratory wall and the beginnings of creeping tremors, cramping up in the inner thighs on the final 200ft skin ascent before the ski to skate into the finish line. Dropping out of the upper slopes, trying not to crash into this well positioned photographer! Competitor Eric Bunce was working the race course hard at the top of the pack but broke a ski on the remnants of a snowmobile track hardened in a hard pack ice crust from snowmobile traffic down low. The durability of rando race skis is always going to be a variable.It is not uncommon to hear about a racer forced to drop out at the end of the days competition. My result was 14th overall of 26 with a time of 3:30:11 about an hour outside of the top three competitors on the podium. 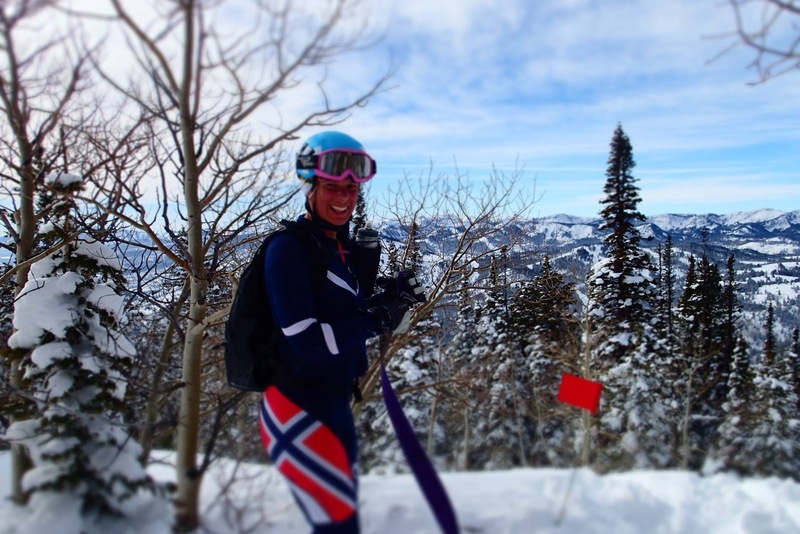 Nina Silitch doing what she does best... All smiles and Skimo! Jason Boro in transition. Pro styles! 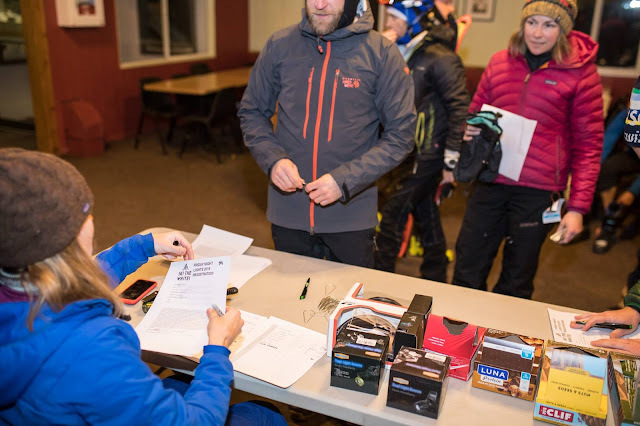 At the finish, I caught up with Jason Borro from SkimoCo who personally delivered an order of amazing SkiTrab Attivo goggles to my attention. What first class service! 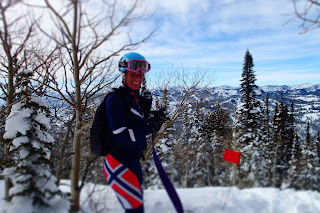 Another favorite moment was catching up with America’s most decorated Skimo athlete, Nina Silitch whom I had luckily crossed paths with at some awesome events back in New England before relocating to Park City. 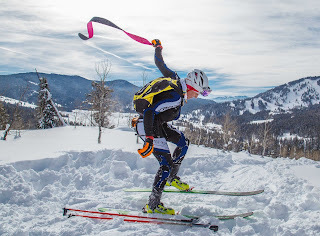 She is doing amazing things in the Skimo community and wishes to her ongoing success! Here is my Strava link to the course profile and segments. 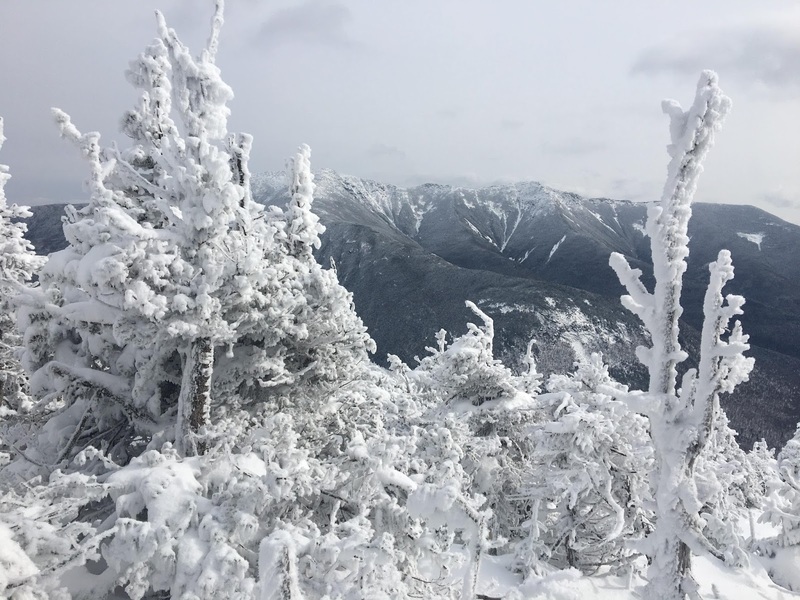 “Earning Your Turns” transcends skiing to new levels; it captures moments of peaceful solitude as you negotiate terrain and landscapes in your winter surroundings. 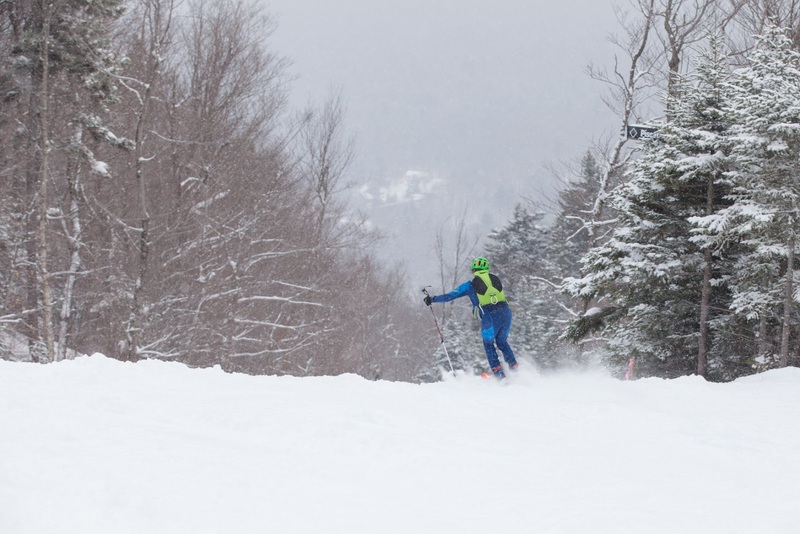 All heart and lungs on the way up, tapping into physical performance and then reap the rewarding experience of ripping the freshest lines, less traveled on the return trip. Euphoric state of mind, unlike any other sport I have been involved. 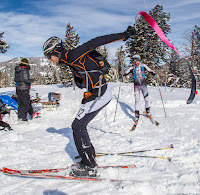 Junior competitor reaping rewards. Well earned, hard days effort. Crowbar was nothing less than spectacular, showcasing the strength of Skimo racing in Utah from the top of the competition right down to the future generation of junior competitors. Big shout-out to friends Nick Gottlieb and Daphnee Tuzlak in Logan for their invite and hospitality, making this trip a reality for me. 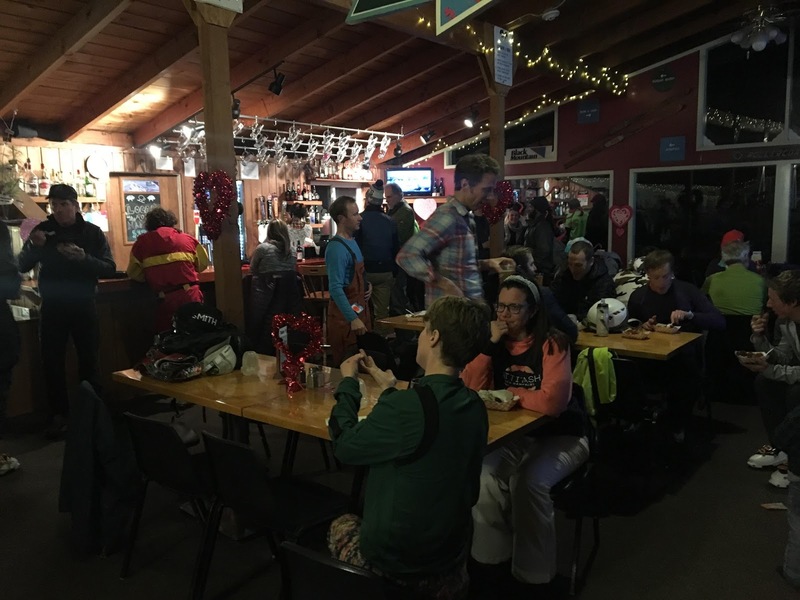 To the University of Utah graduate students welcoming me into their inner circle for an overnight celebration at the Beaver Mountain Yurt very reminiscent of my college days. 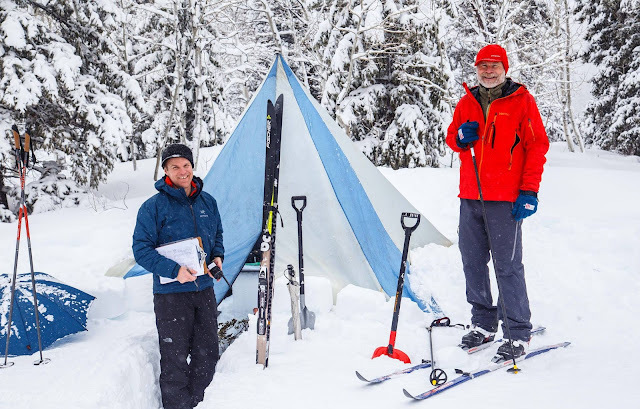 2017 Cache Regional Overland Winter Backcountry Adventure Race! 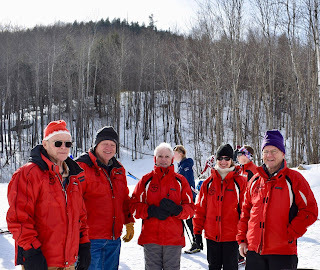 Three cheers to Nordic United; the race directors, volunteers and sponsors that consistently pull off a race of this magnitude. 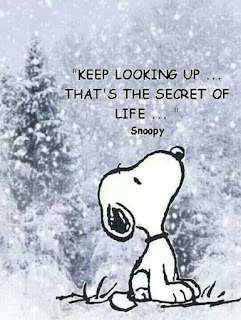 You are all responsible for keeping the dream alive! This photo is for Jonathan! Burning the midnight oil in the Beaver Mountain Yurt with some much needed flag repairs. Green flags typically get stomped and stepped on at kick turns in the skin tracks. 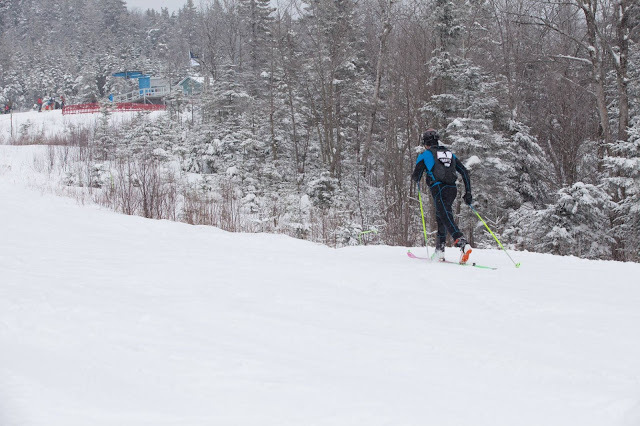 The red flags tend to get wrecked in the downhills as racers hang the tightest lines against them. 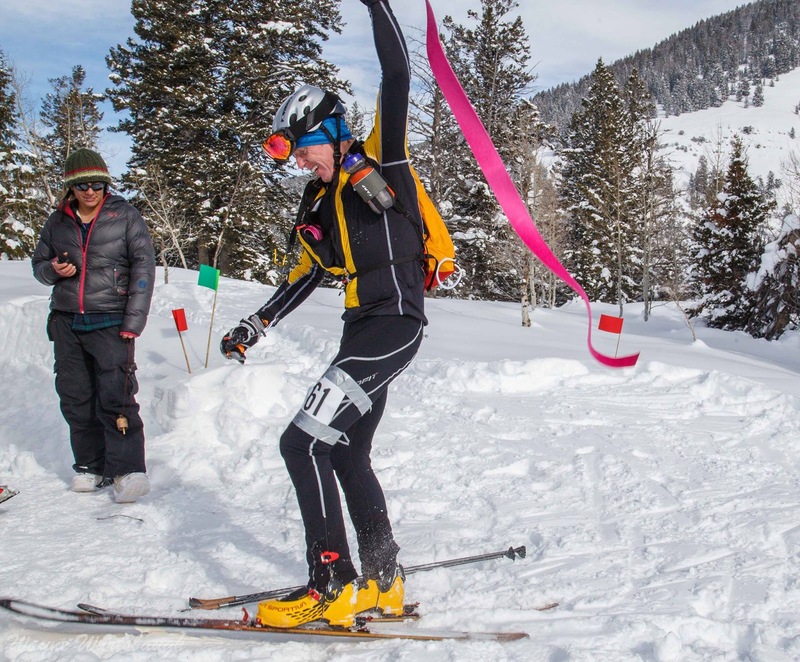 I won't be there.... but those flags will be used at the Wasatch Powder Keg. Surviving on Stoke Factor 100!